10:00 AM and 4:00 PM. Our main flushing program is in operation. Flushing is performed Sunday through Friday between the hours of 11 p.m. and 7 a.m.
As new sections are scheduled, more information may be found on our Current Flushing Schedule page. The Water Authority has heard from customers that the third party payment site Doxo sometimes appears at the top of web searches when they are looking to pay their bill. Doxo is not affiliated with the Water Authority of Western Nassau County in any way. It is a site that allows customers to pay their bills to any other site by charging monthly and one-time payment fees, then writing checks and mailing them on the customer's behalf. These fees charged by Doxo are not paid to the Water Authority and we cannot control when we will receive customer payments from Doxo or any 3rd party site. If a bill is due soon or overdue, this may result in a late payment charge and/or disconnection of service depending on the situation. The Water Authority recommends that customers pay their bills using the approved vendor listed on our web site at http://www.wawnc.org/payments. Placed in service: May, 2018. As part of our commitment to providing a safe and reliable supply of high quality drinking water for our customers, we are bringing select wells back into service upon installation of wellhead treatment for the removal of volatile organic compounds (VOCs) commonly found in Long Island's groundwater. By increasing the reliability and availability of drinking water supply in our service area, we will be better able to serve our customers and have more resources ro respond to emergency situations. 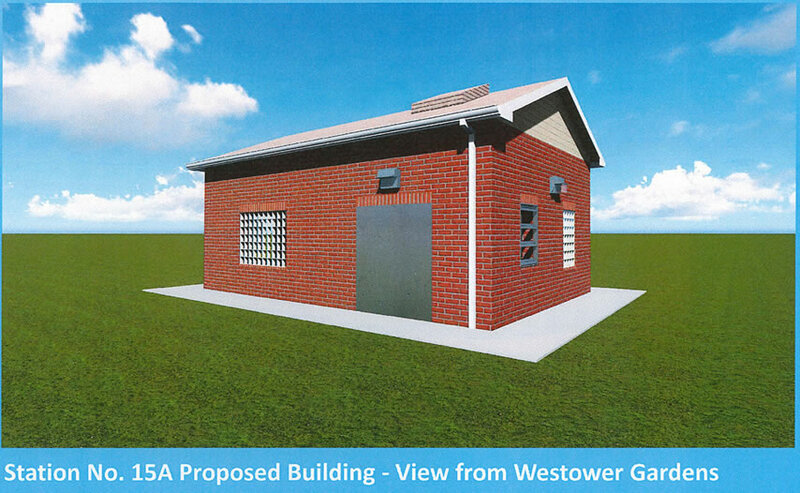 Station Number 15A: The existing building will be replacedwith a new energy efficient building and setup for off-site future wellhead treatment. Station Number 15 C/E: Construction of a new energy efficient treatment building, rehabilitation of the existing building, and installation of a new emergency standby generator. In a recent edition of Newsday there are two articles about contaminants in public water supplies on Long Island. They stem from the results of the EPA's third Unregulated Contaminant Monitoring Rule ("UCMR") that was released in August 2016. Every five years the EPA is required to designate a list of contaminants which are not presently regulated. This means that there are no national safe drinking water standards established for these contaminants. The EPA studies the results and determines if any of the contaminants pose a health risk and should be regulated. One article focused mainly on one contaminant, 1,4-dioxane which is a solvent used in textile processing, printing processes and detergent preparations. Although the EPA has not set a standard for 1,4-dioxane, New York State has established a standard of 50 parts per billion for any unregulated organic chemical, including 1,4-dioxane. The Water Authority's highest detection of 1,4-dioxane is 12 parts per billion at one location, well below the standard. The remainder of the results range for no detection to 0.84 parts per billion. 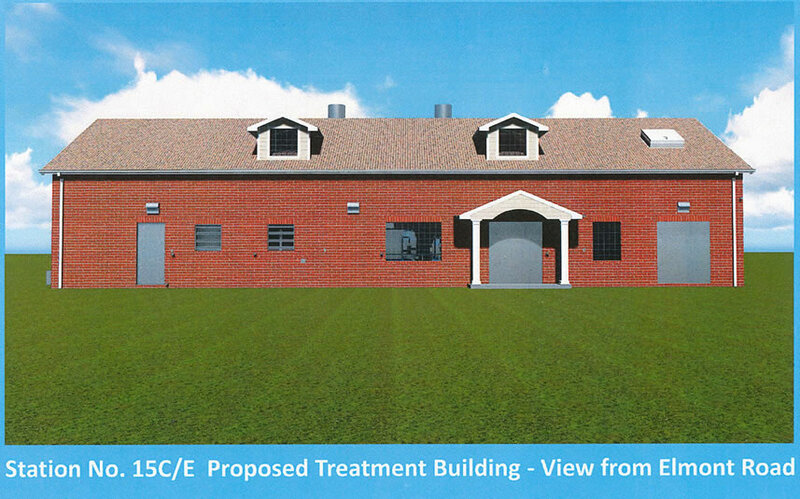 At present there is no treatment method for the removal of 1,4-dioxane from the water supply, however Suffolk County Water Authority is performing a large-scale pilot study aimed at removing 1,4-dioxane. Construction of the pilot treatment system is scheduled to be completed by April of this year. Suffolk County must collect data for a year before it can present their result to the State for approval of the treatment method. As with any regulated contaminant if the water from any of Long Island's public water supply wells exceeds the standards, the wells must be taken out of service until treatment is installed to remove the contaminants from the water. At present the Water Authority uses air-stripping and granular activated carbon facilities to remove volatile organic compounds ("VOC") from the water. Construction is underway for two new air-stripping facilities to treat four wells that have been out of service due to VOC contamination. The Water Authority customers can rest assured that the public water that flows from their faucets is one of the most highly regulated supplies in the United States and is safe to drink.